Bhasker Desai, a seasoned runner from Mumbai, timed a creditable 3:46:23 in the Boston Marathon, but the twin blasts left him shocked. Rediff.com's Laxmi Negi spoke with him. It's 3 am on Tuesday in Boston, the aftereffects of Monday's Marathon blasts in the city are yet to sink in. 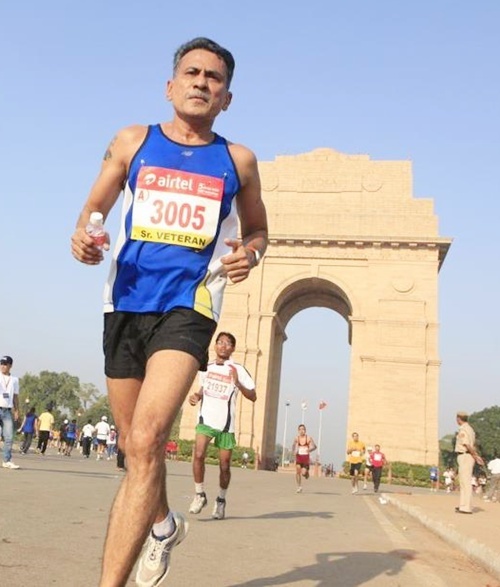 Mumbai's most cheerful marathon runner Bhasker Desai finds himself in a state of grief. In the world of recreational runners, the Boston Marathon is a blue ribbon event. Runners like to boast that they qualified and ran Marathon's Holy Grail. Desai, running his second Boston Marathon, wasn't expecting anything like what happened at the finish of the event. The seasoned 60-year-old runner timed a creditable 3:46:23, but the twin blasts left him shocked. 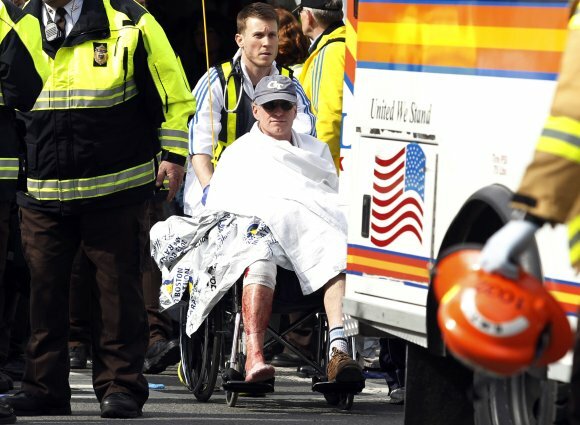 He was lucky to survive; he finished his race some 20 minutes before the explosions. "I am thinking of this eight-year-old innocent, cheerful kid, whose beautiful world had just begun!!" "My heart goes out to his parents and family and friends. I am crying and praying for him," Desai told Rediff.com from Boston as sleep deserted him some 12 hours later. Calling himself a mindless runner, as he hates the notion of looking at the watch and running, Desai says, "This is just not right. When will these demons in the garb of humans stop making our world a less safer place! And there are more than 100 injured." "One prays we hear no more tragic stories of their plight. We can only hope; reality is so painful and ugly!" An IIT-ian, Desai says he was lucky to walk back to his hotel, two miles away from the venue. 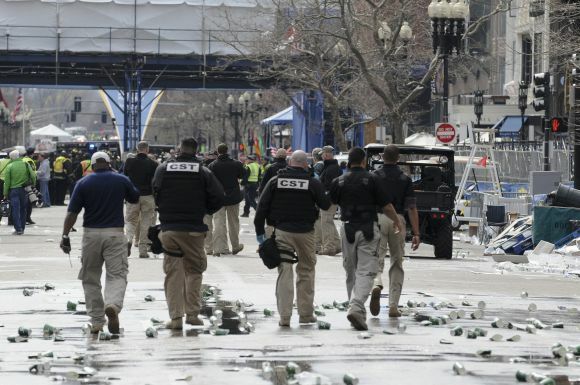 Expressing admiration for the Boston police and local administration for their prompt action to ensure no more people get injured should there be more bombs planted to ruin the iconic race, Desai says, "The immediate vicinity was completely cordoned off and all people immediately vacated." "Public transport arriving into the Park Street area was stopped and placed under observation, and checks were made to see if bombs were planted, as it brought loads of people to this race's finishing point." 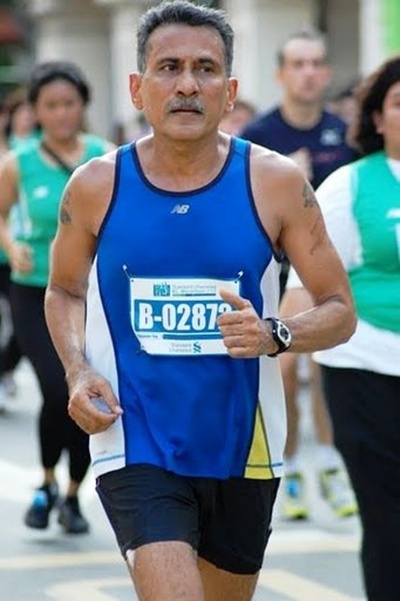 Desai, who started running in his 50s on the insistence of his doctor to fight high triglycerides, is hugely impressed by the Bostonian spirit. "People in the neighbourhood opened their homes for the exhausted runners to rest and refresh. It is incredible, a salute to their spirited cooperation and help!" Will he be back for next year's Boston Marathon? "You bet I will be back next year," he thunders over the telephone line. "I have already qualified with my timing of 3:46:23 (the Boston Marathon's qualifying time for the 60 to 64 age group is 3:55). Nothing will stop me." Boston bomber: Lone wolf or home-grown terrorists?